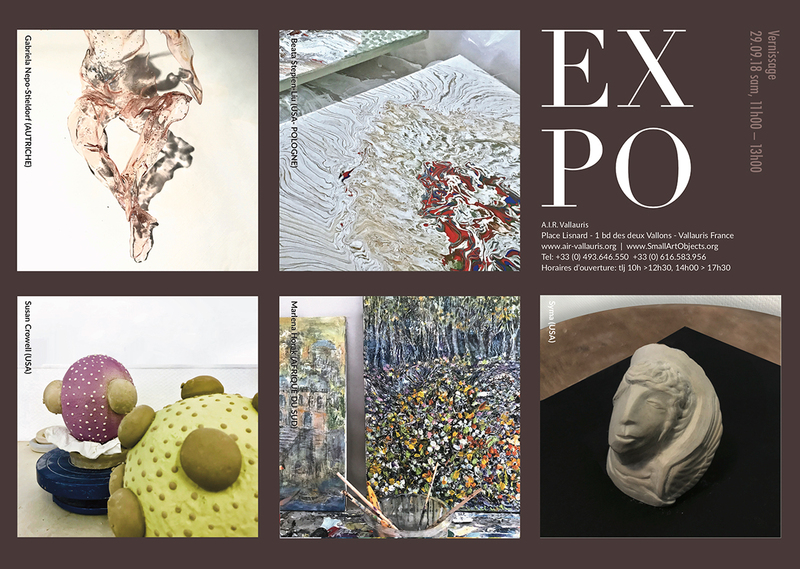 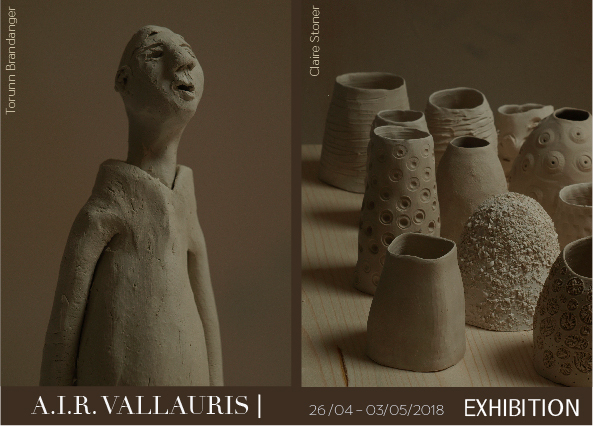 Exhibition of works created in residence by Claire Stoner (USA), Torunn Brandanger (Sweden). 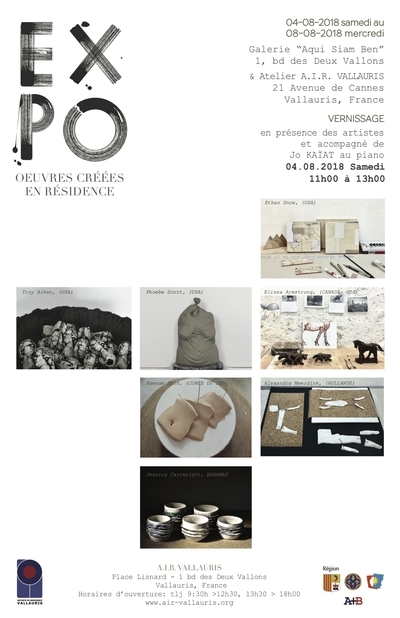 Exhibition of works created in residency by over 50 international artists. 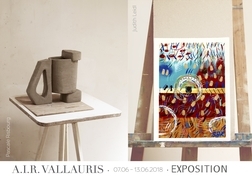 All works on display have been created in residency in Vallauris and the artists have used a variety of techniques and materials to create their works.